In this workshop middle and senior women managers reflect on their roles, and explore some of the most recent research regarding leadership and the specific challenges faced by women leaders today. Through a series of conversations and thoughtful exercises, participants discuss perceptions of leadership, and reflect on the competencies associated with each. The workshop is a critical step for women moving from management to leadership. It will help you create a more enabling environment where all people are encouraged to contribute and collaborate in order to deliver top results. Models and frameworks to better understand your leadership style and build on your personal attributes. Tools and techniques for addressing bias and encouraging inclusion and collective intelligence and alignment to goals. A PACT framework for establishing high performing teams. Tactics for improving your influence and persuasion. Techniques for enhancing your vocal and physical presence. GROW model for coaching and developing people. Five Relationship conversations of effective leaders. Distinctions between leadership and management, and what these mean to you as a leader. 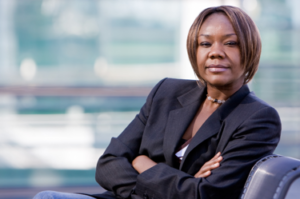 Ways to assert yourself as a women and to manage the organizational environment. Strategies that have proven to level the playing field and drive parity for women in the workplace. Research on what really motivates people; how to create an enabling, healthy environment for women and men. Ways to ensure alignment to strategy, to increase accountability and stay focused on results. Pamela Lupton-Bowers is a master trainer and professional facilitator. She has designed and led leadership programmes for the corporate and non-profit sectors for 30 years across 60 countries and with close to 200 nationalities. In a most recent evaluation, participants rated her knowledge and ability to apply the concepts to real life higher than 99%. She brings cognitive and neuroscience research to create interactive learning experiences that lead people to insights about their current performance and their continued leadership journeys. We have 2 places available. Join Pamela and a small group of outstanding women from aid organisations across Europe, in Kiev, Ukraine, 8-10 November 2018. Cost $1000 course, materials and lunch. Participants cover their own travel and accommodation costs. Contact us at admin@plb-consulting.comfor details and registration. Copyright © 2019 PLB Consulting. Powered by WordPress.